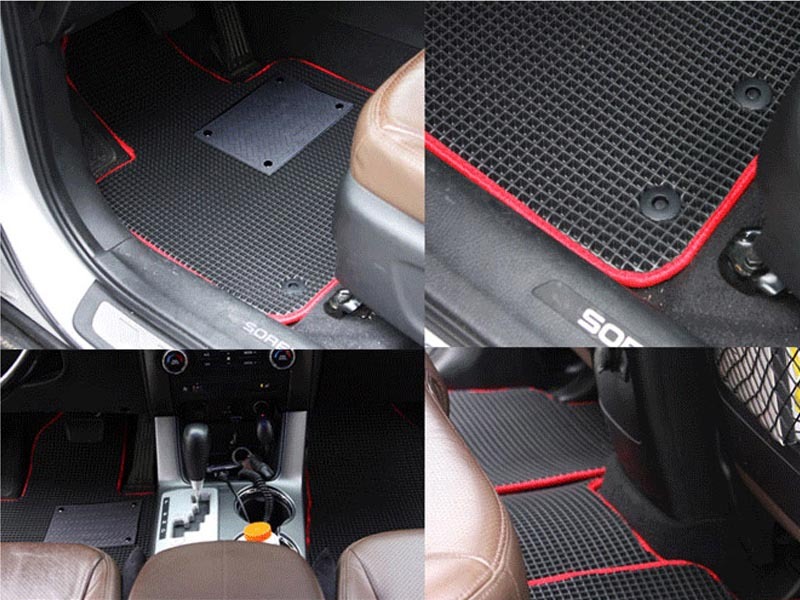 Stylized and functional floor mat set from Hexa in Korea. 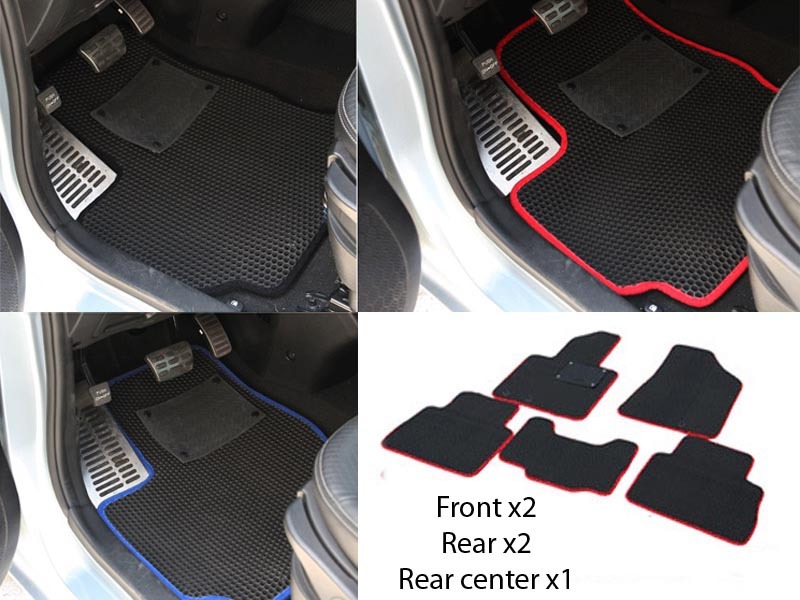 Includes front and rear mats plus center mat if applicable for your vehicle. 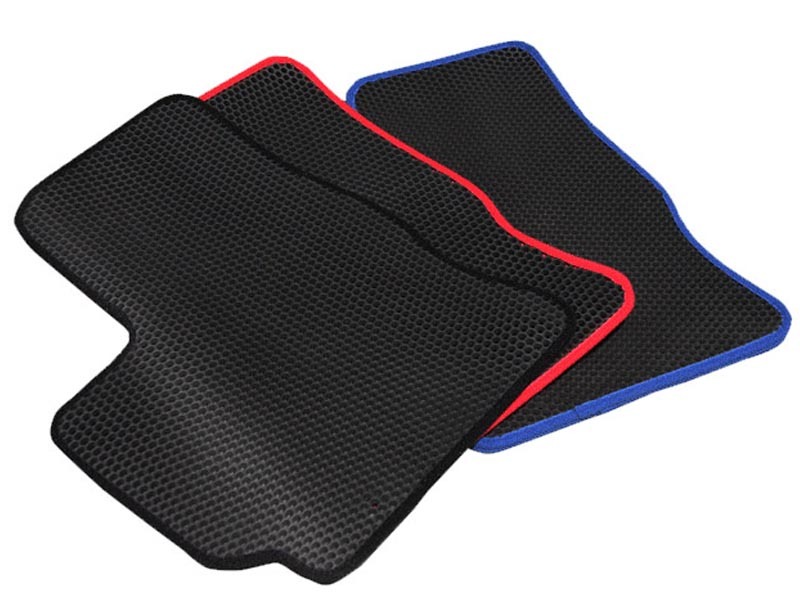 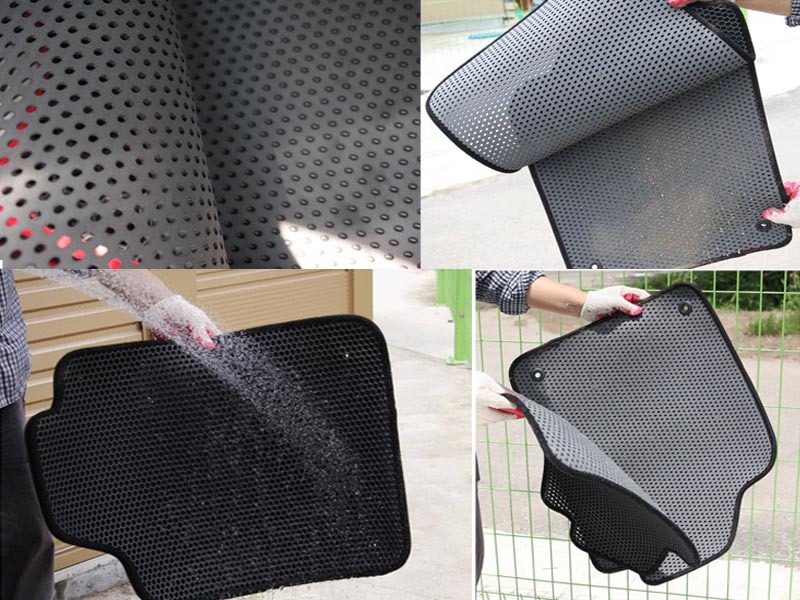 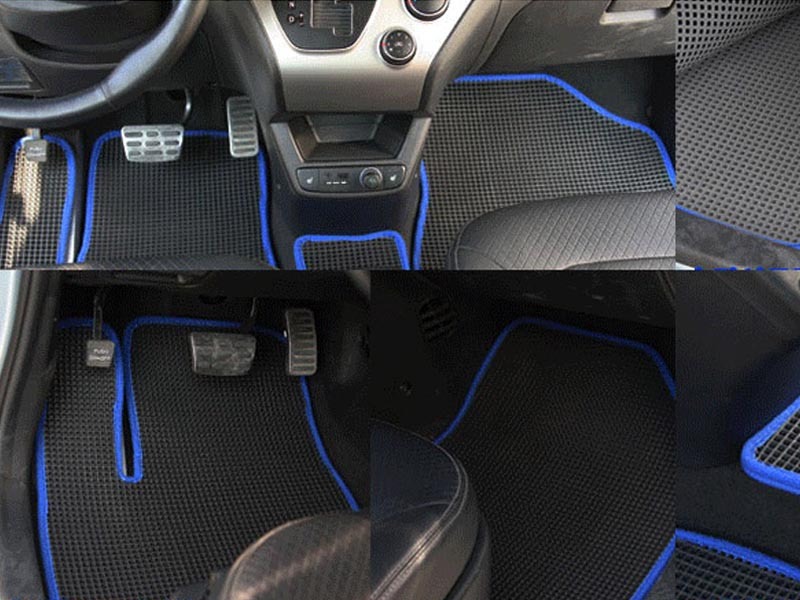 Features two-piece design with removable rubberized top liner that allows dirt, dust, cocaine, or whatever ends up on your floor mats to be removed with a quick and easy wash after removing the top layer. 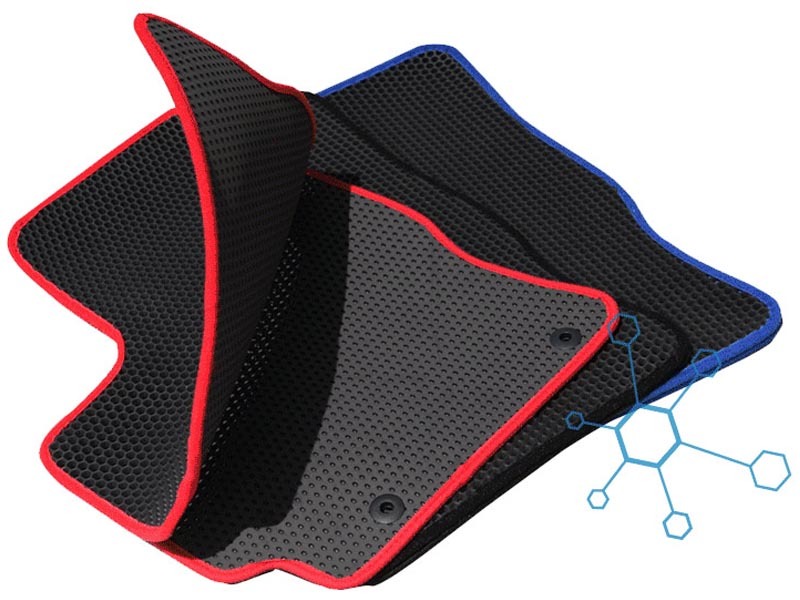 Available in 3 colors as pictured - red, black, blue. 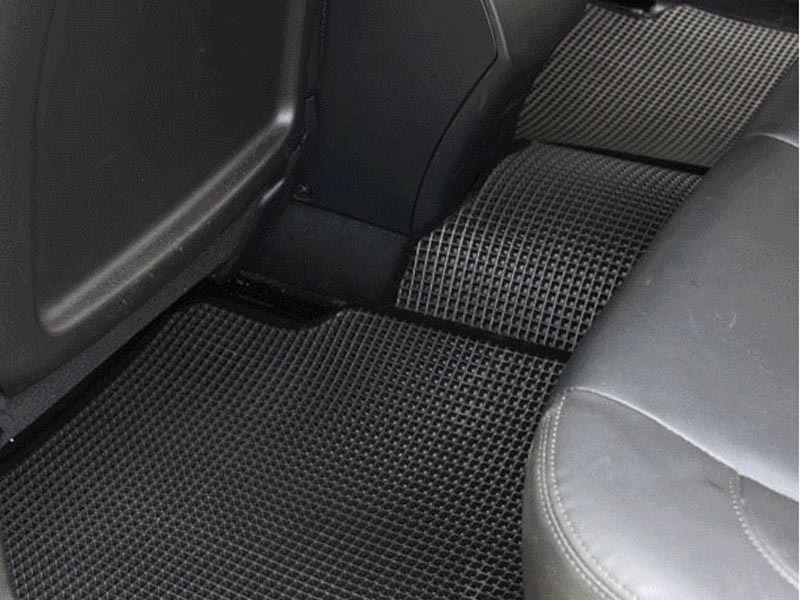 PLEASE NOTE YOUR CAR'S YEAR, MAKE AND MODEL UPON CHECKOUT!